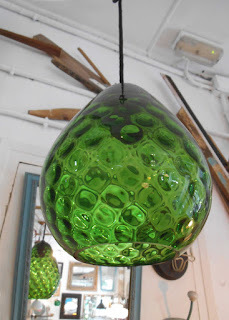 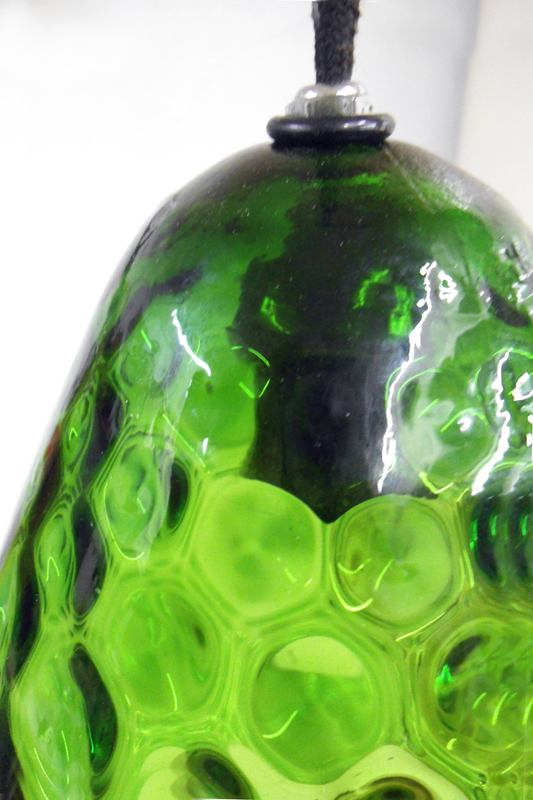 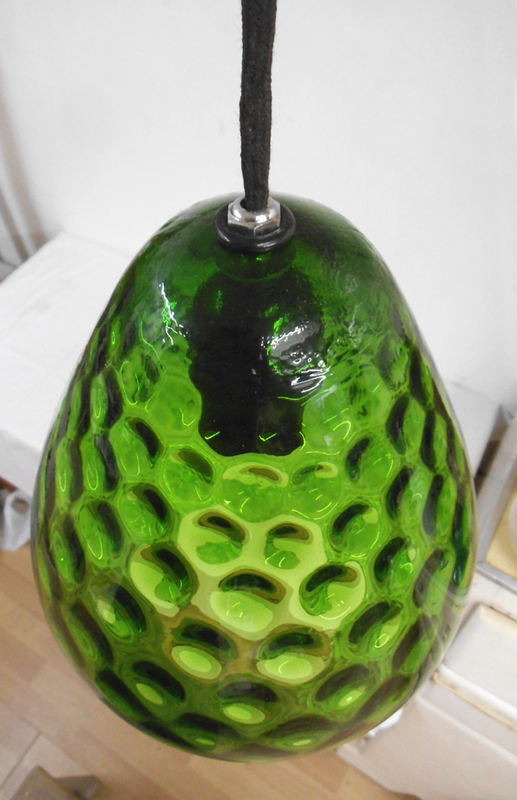 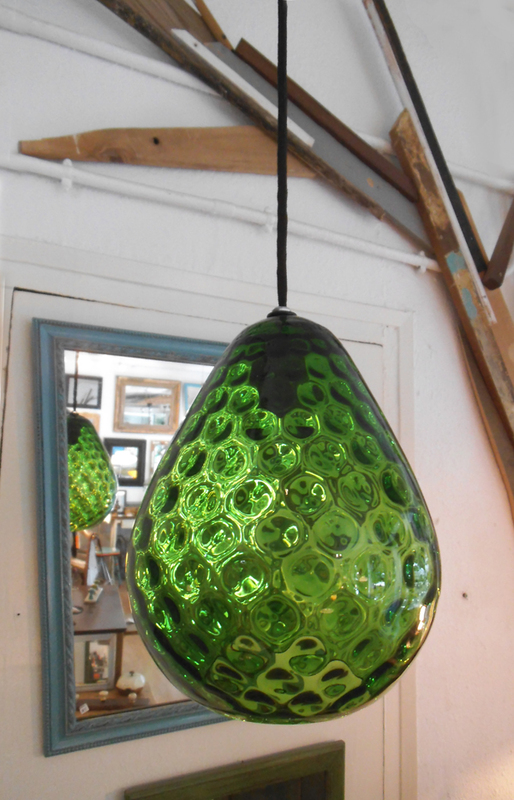 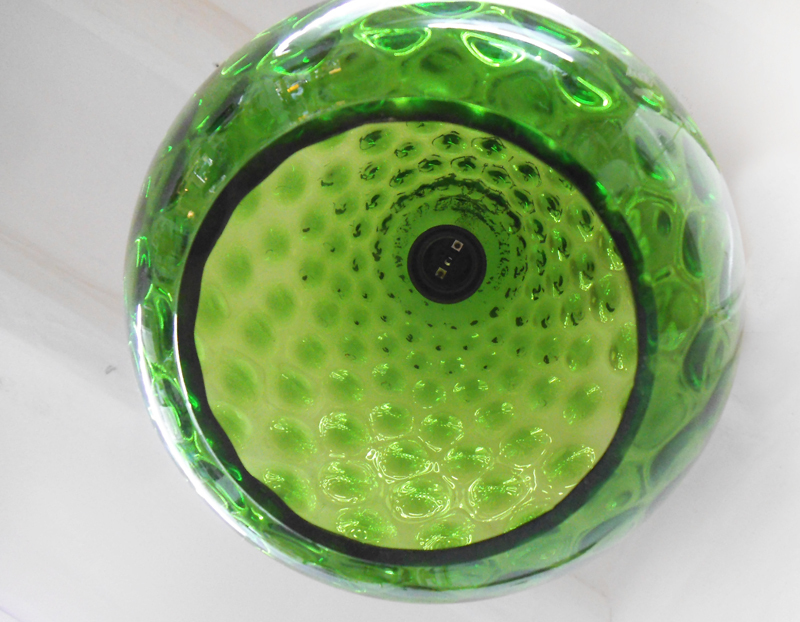 A light fixture that will add a quirky pop of colour to any room, the 'Avocado' ceiling lamp is made with a vintage bright green glass shade in the shape of a drop and a groovy pattern of circles. 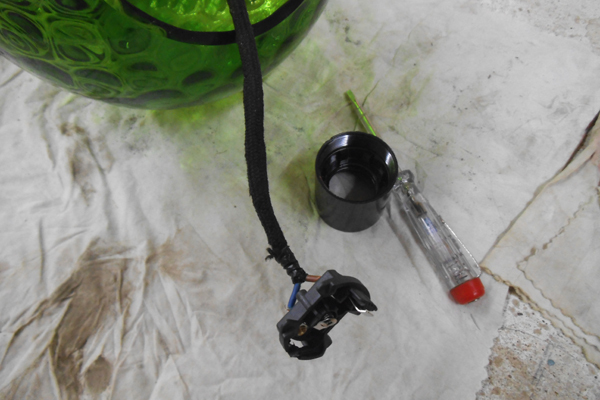 The black bakelite bulb socket and cotton cord complete de combo -check the pictures below and the 'Making Of' section for further details. 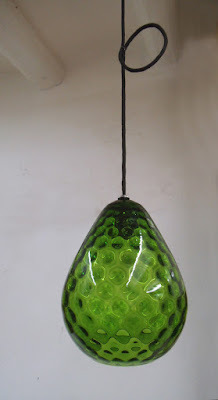 Measures: shade 24cm high, 18cm diameter. The cord is over a meter long. 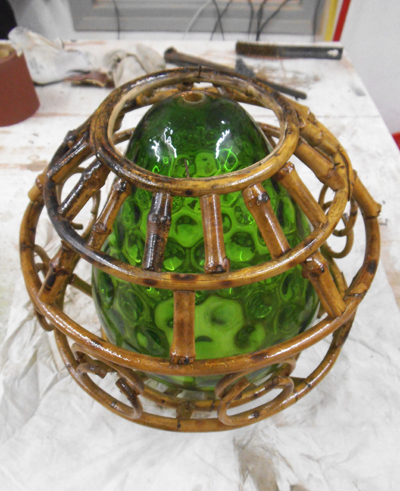 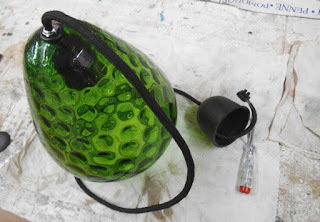 Some pictures taken during the MAKING process: releasing the beautiful glass shade from its original bamboo cage, that made the lamp look too busy. 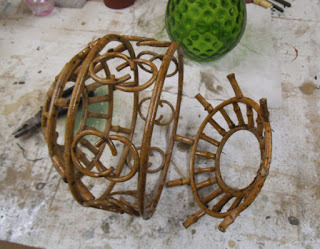 Wiring and mounting the lamp. 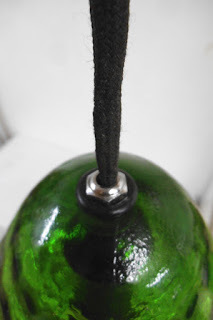 Straight forward, and effective!